Your tires are one of the most important components of your car, so making sure that they’re well maintained and changed regularly is crucial for ensuring a safe and smooth driving experience. At the same time, ensuring that you’re buying the best tires for you vehicle can be difficult with so many options out there. 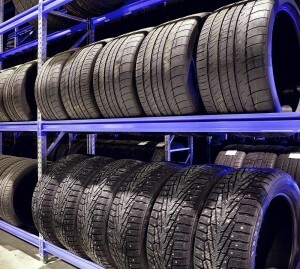 With this quick and simple guide, we’ll outline the most important things to consider when shopping for tires. As long as you follow the advice in this guide, you’ll be on the right path towards buying the tires you need to tackle the Alberta terrain. Know what size tire your vehicle needs – You can find out what size tire is ideal for your vehicle simply by researching your vehicle make and model or using one of the many tire size calculators available online. Decide what kind of tires you need – Depending on your lifestyle, instead of normal tires you may want to consider all-season tires or performance tires to enhance your driving experience. Decide on a tire brand – There are a lot of tire brands out there, and some are better than others for your vehicle and preferences. Make sure that you’ve researched what your options are so that you can make an informed decision. Know when it’s time to change tires – The best way to save money when buying new tires is to make sure that you know when to do so. If you go too early, you may end up wasting money by not utilizing your current tires to their full potential. Shop specials – Many retailers provide great specials on tire purchases – like we do at our Winter Tire Sale! Make sure to check out the website to find out about any sales, discounts, or specials on tire purchases before you buy. Purchase from a reputable tire dealer – By far the most important thing you need to make sure to do when purchasing new tires is to make sure that you’re purchasing from a reputable distributor. Visiting a dealership, like Jackson Dodge, will provide you with the tools you need to drive smoothly on the streets of Swift Current. Now that you have a better idea of what kind of tires you’re looking to put onto your vehicle, it’s time to put things in motion. To shop Jackson Dodge’s large tire selection you can visit our service department in Medicine Hat, contact us online, or call us at (403) 527-5581. Our team would be happy to walk you through our current tire sales and specials, and figure out which tires will work best for your needs.